GIGA GRANADA HILLS: Advertising Section: Buy Halloween Stuff! Advertising Section: Buy Halloween Stuff! 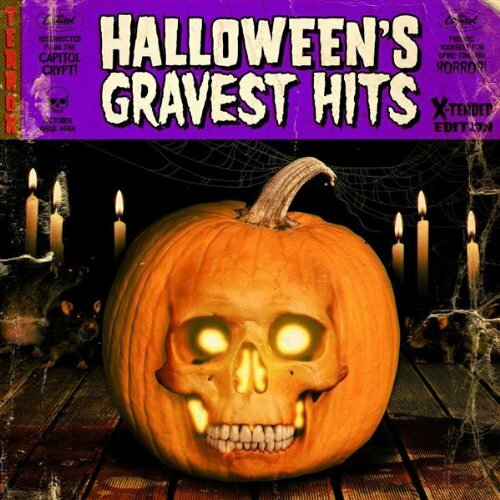 You could go with a fairly standard Halloween Hits allbum, like this one, entitled Halloween Hits, which of course features the seasonal standards (Ghostbusters, Monster Mash, Addam's Family Theme) because, let's face it, Halloween without "Monster Mash" is like Christmas without "Jingle Bells...."
which includes a lot of other must-have gems of the season that are too often overlooked in favor of Bobby "Boris" Pickett's de rigeur tune. How about David Bowie's "Scary Monsters," Concrete Blonde's "Bloodletting," Alice Cooper's "Welcome To My Nightmare" and "I Was A Teenage Werewolf" by the Cramps? This album also includes an indispensable version of "Season of the Witch" by -- no, not Donovan -- Lou Rawls. 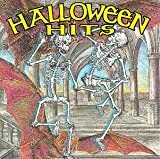 Lou Rawls does some of my favorite Christmas music, but Halloween is a good time to get reacquainted with him early. Just because someone's too far away to knock on your door at Halloween doesn't mean you can't give them a treat; See's Candies delivers! Get 20% OFF your costume from SpiritHalloween.com with no minimum order. Use coupon code: SPAF20 (Ends 10/28/10). offers the following coupon code: SCARY10 for a $10 discount.